'Why I am not getting a Job?' Read This, Surely You will be hired Soon! Job seekers are sellers. Employers are buyers. What does this mean? 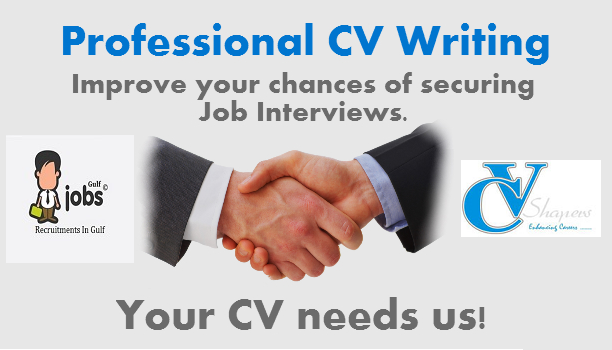 And how should it effect your job search and your outlook towards employment? But the truth is, these causes are seldom the reason for lack of response. Employers always have money to spend and hire new people; ALWAYS. The reason they didn’t respond to your efforts is because your offer to them is not compelling enough. You did not convince them that you are worth buying. What are businesses, companies, and employers interested in? One thing: money. To convince employers of buying your service, the first thing you need to do is to refine yourself and specialize in one field and then show them that your specialty can bring them money. In order to examine if you have a specialized skill, ask yourself the following question: can you utilize your skills to earn a living independently and without the help of an employer, for example as a freelance consultant, designer or writer? If not, then is it because you lack the platform that the employer provides or is it because you are not sure of the value of your skills in the open market? If you’re not sure of the value of what you do, then Dubai (for example) may not be for you, yet. As I have said in our other employment guides, Dubai companies offer minimal training and expect employees to hit the ground running. Dubai employers are not out there to discover your hidden qualities and talents. They want you to teach them what you do and do it for them. Furthermore, if you answered “no,” perhaps you should take some time off, think about your future, and discover exactly what you enjoy and what you would like to do with your time. If you answered “yes” then you are more than ready. Now it’s time to put on the salesman and marketer hat. In marketing it is known that targeted messages receive the highest response. However, due to the difficulty that is associated with creating a quality targeted job application, you may opt for quantity. In other words, instead of tailoring your applications to a few companies and hiring managers, you may create a “template” message that you broadcast to 100s of employers. In reality, when it comes to sales and marketing, quality is much more important than quantity. Think about yourself: are you more likely to respond to a spam email that goes out to 1000s of people, or are you more likely to respond to an email that addresses you by name and discusses issues that are relevant to your life at the moment? Exactly. That’s what you should do. For example, you may see a job posted on XYZJobs.com. Write down the company name and the department of the company that posted the job. Then find the contact information of the company. Then call them up and ask to speak to the manager of the department that posted the job. When you are asked by the phone operator for the reason of your call, say that you have important questions about the posted job description, and you need clarifications. Speak with confidence and authority. When you are connected to the manager (be polite, but don’t let him/her intimidate you; he/she is not your manager, yet. It’s just someone on the phone who may be the stupidest person in the world), ask the questions that you have. Ask him what he really wants in the person who he’ll hire. Ask what traits he likes, etc. Also, take this opportunity to introduce yourself and learn the name and, if possible, the email and direct phone number of the manager. This information will help you target your message to this manager directly. Tell me: how many job seekers do you suppose will go to this length in order to secure a job? Very few. 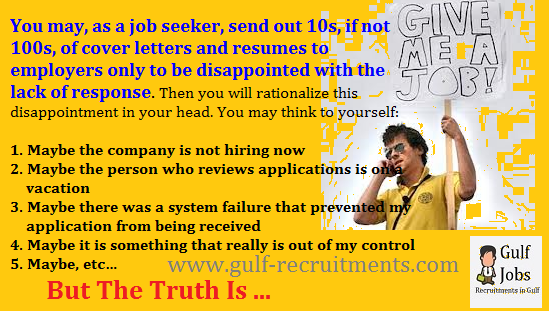 If you follow this procedure, you will have instantly put yourself ahead of all job seekers. Additionally, with the information that you will have acquired through this procedure, you will be able to tailor your application to the specific requirements of this manager and his department. It will be very hard for them to not consider you for the job. Now that we have talked about the importance of of targeted messages, we should now address the importance of the content of your targeted message. What exactly should you say in your job application in order to sell it? Make it very clear exactly what you do. Don’t let them get confused in trying to understand where to place you in their organization. In your profile whenever you mention one of your strengths, follow with with a sentence that describes how this strength can be a benefit to their business. Whenever you mention one of your strengths, make it clear to the reader how this strength will contribute to their profitability and make them a better company. Don’t make the reader have to think in order to figure out how you could help them. If you follow the outlined procedure in this article, you will never be unemployed again because you will no longer need employment. Instead, employment will need YOU.